If I am to name one of the biggest challenges I faced when I first became a Mom - it would probably be sleep-deprivation. The erratic sleeping pattern of infants may be the biggest mystery I and my fellow parents have yet to solve. I remember wishing that Choi (my now 3 year old firstborn) and Chai (my almost 2-month old baby girl) will sleep through the night so I can also get my much needed-rest. There were good days, yes, when they would sleep soundly without any fuss but most of the time - it was waking up after every 3 hour interval. I was a Johnson's baby, well, until now, I am still using their products for myself. 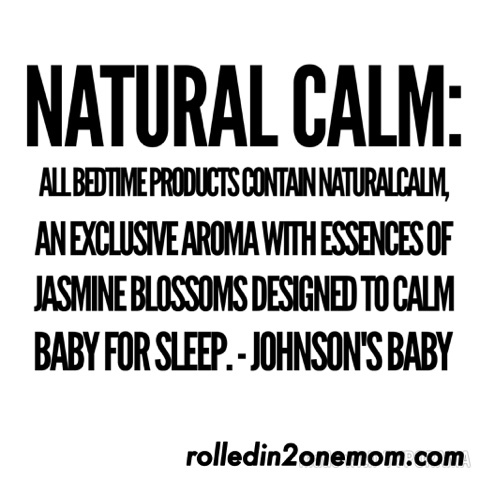 I know that Johnson's understands the need for Mommas and babies to get the best possible skin care and much needed rest. This, according to research is important for a happy and healthy baby development. I have tried so many ways, styles and routine to help my kids sleep better, yet, a being a busy mom, I can't seem to stick to them. I'm glad, JOHNSON'S BABY PH has decided to step in. It is said that around 3-6 months old, it is important for our babies to develop a regular sleeping pattern as this is the time they are slowly beginning to recognize the difference between night and day. A warm bath helps baby recognize that it's time to sleep. It gives them a warm and fresh feeling that can induce a good night's sleep. To make warm bath time more enjoyable - cleanse your baby with Johnson's Bedtime Baby Bath. As a pre-step to warm baby before bath : use Johnson's Bedtime Baby Oil. A gentle massage will help baby relax their muscles and lull them to sleep. 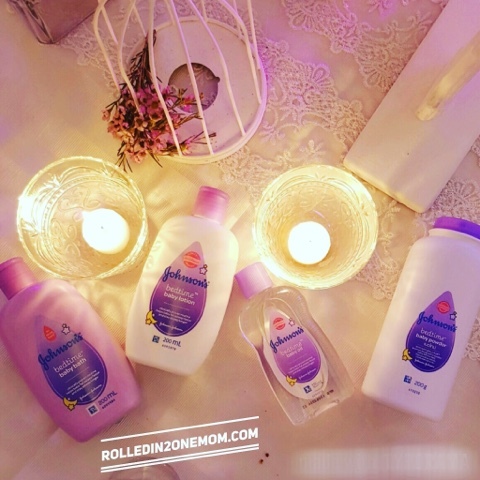 Moisturize your baby's skin with Johnson's Bedtime Baby Lotion. Let your baby unwind (yes, they need that too!) by reading, singing or letting them listen to lullabies. Make sure to make your room sleep-inducing by turning off the television, disconnect from the internet and no more rough play that can make them become hyperactive again. Johnson's Baby always has Mommy and baby's welfare in mind. This I have proven when they developed an app called JOHNSON'S BEDTIME APP. The app is an arsenal of tools for mommies to help baby sleep better. The app has a sleep profile tool to get research based analysis of baby's sleeping habits, a lullabye album and ambient sound mixer to make playing lullabies convenient. Imagine that! Creating your own mix of bedtime sounds for your baby! The app will also provide advice from experts to mom and dad on sleep-related topics. This indeed is an app that can make like easier for both babies and parents . The app is now available for FREE on Google Playstore and Apple App Store. I must say, JOHNSON'S BABY PH has once again gone above and beyond my expectations. Just knowing that their products are safe for my kids makes me more loyal to them. But then, developing an app that is probably the best answer to my sometimes sleepless nights makes them my most favorite brand in the world! 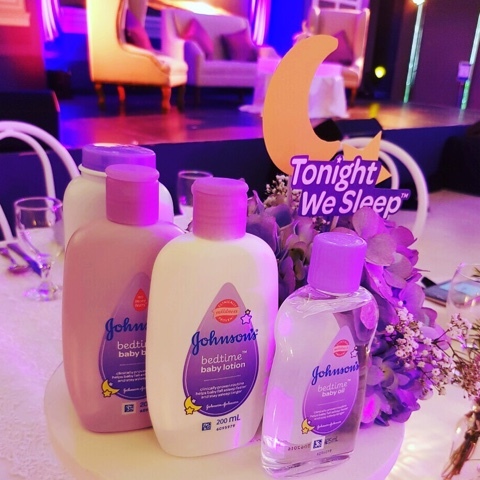 To know more about Johnson's Baby Bedtime Products and Johnson's Bedtime App - head on to their website - JOHNSON'S BABY PH. Wow, there is already a bedtime app. We've been using J&J products for years, baby powder and baby oil are always in our grocery list. my baby uses J&J products. a bedtime app? sure looks neat! will definitely check this out, though i don't have a hard time putting my little one to sleep. I also include warm bath in my kids night time routine. It makes them calmer and sleep well at night. I use Johnson's products too - its long been tested (effective and gentle) in my family. I agree that massage helps. My little boy loves it and it helps him sleeps better. I'm doing the first 2! But the 3rd one, medyo nane-neglect. Because sometimes, we play pa before bedtime. My firstborn kasi is now an active toddler. Kailangan ko na pala syang itrain na kapag bedtime, dapat quiet time na, para pagdating ng kapatid nya by next year, hindi na ako mahihirapan. Hihi. They now have an app, cool! 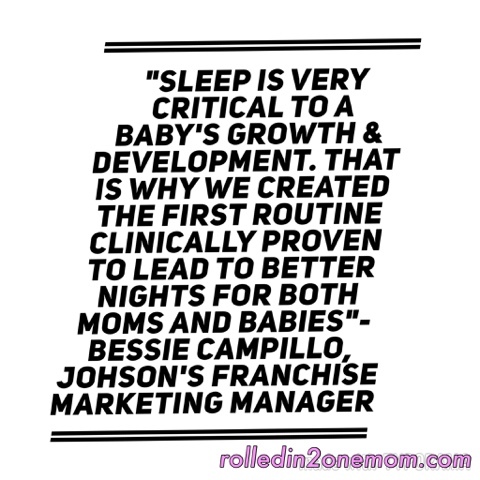 Sleep is really important for baby's overall development, and it's our job as moms to make sure they get enough rest/sleep. Sleep is very important to anyone especially for babies. I never had any problem with my son's sleep. I'm very fortunate that I get to rest well from the day I gave birth. I breastfed my son until he's 27 months old but only woke up if he'd 'dede'. No midnight cries. I actually bath him twice a day, once in the morning and once before bedtime. That has been our routine since we got home from the hospital until now. I honestly first tried J&J baby since it's what the nursery staff asked us to buy while at the hospital pero hindi hiyang si baby eh. So his pedia recommended Dove Baby and he is using it until now. Siguro it depends din noh, what works on others won't always work on you. 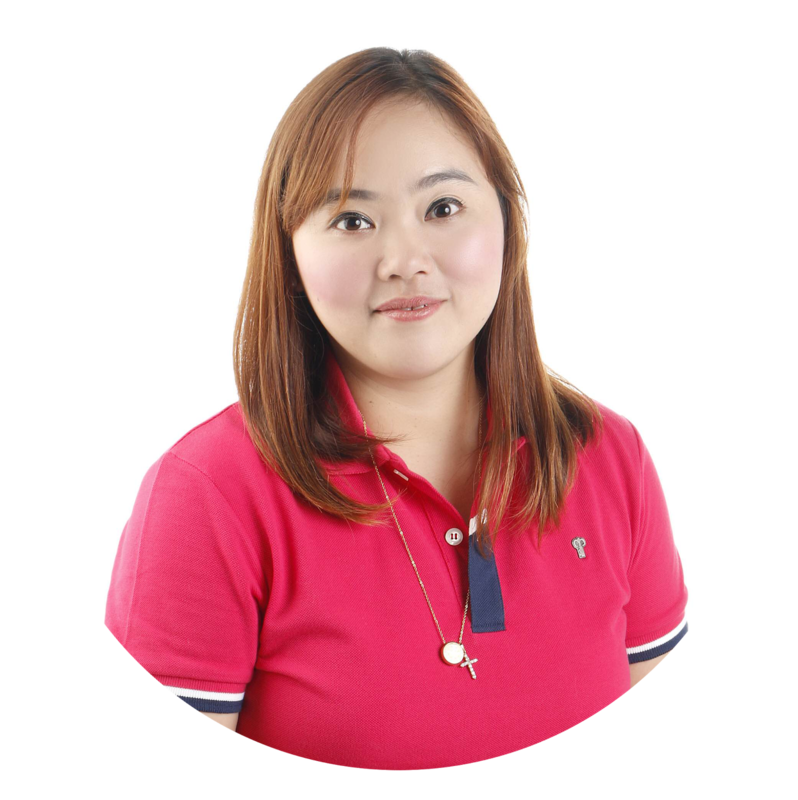 But I love J&J, ito gamit ko while pregnant and it actually helped me with moisturizing my tummy area para hindi masyado magkastretchmarks din. Using these products now and I can see the effects! Pati ako masarap tulog! Grabe! 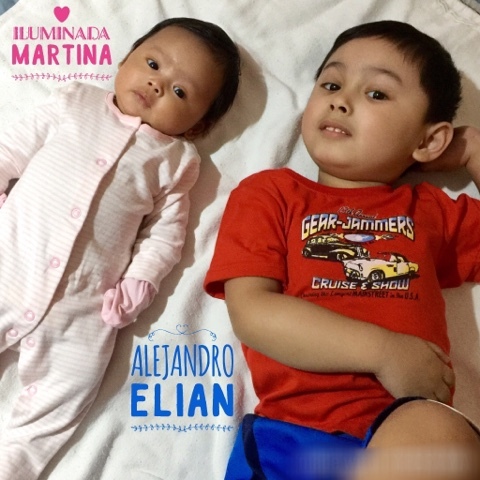 Putting them to sleep is really pahirapan ano? Lalo na sa age ni Choi. Thanks for this post! I'm sure a lot of mums struggle with putting their babies to sleep. Good thing we are so over that stage na! We also trust Johnson's with almost anything baby related. Not until the news about the cancer thingie surfaced that I told husband not to buy Johnson's anymore for the boys. I agree though that a warm bath, a massage and some quiet time will surely make our babies enjoy their sleep. With a 7 week old baby I am definitely super sleep deprived. Will check out that app so that our baby can sleep better! I love this particular Johnsons line, the scent is so nice and comforting. Yung color palang ng packaging seems to be soothing na. I'm curious to smell these products. I have tried that powder. I happen to pass by J&J section and that variant caught my attention. I love the scent. Makes you want to sleep all day. fresh and calming. This reminds me of my own struggles during those days. I can attest to the fact that massage with the right product has a very calming effect on babies. I am a Johnson's user and my toddler is using J&J shampoo too. I haven't tried this new Johnson's bedtime but will surely love it too. 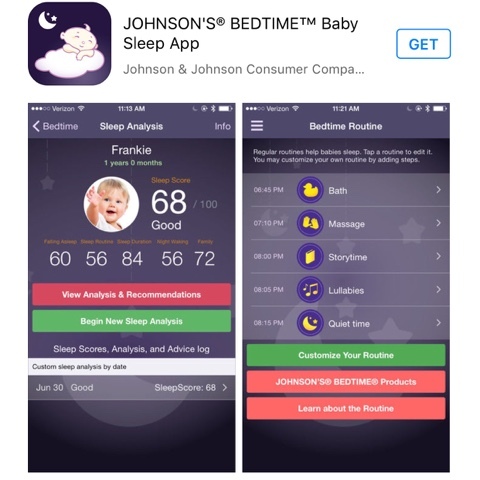 I love the Johnsons Bedtime product line because it really helps babies relax. This bedtime routine is sure to get kids snug, comfortable and ready for bed. I like this new line and it smells good!